You can now view, play and publish games and challenges onto DISCOVER, CodeMonkey’s all-new community page! Sharing games and challenges just got more fun with CodeMonkey’s DISCOVER feature. DISCOVER allows any CodeMonkey user with access to Game Builder and Challenge Builder to publish their own games and challenges to the community. Users can also find, play, like and remix fellow coders’ games. This week’s most popular games on DISCOVER. After logging into your CodeMonkey account, you can access DISCOVER by clicking on the DISCOVER tab on the top right-hand side of your homepage. Follow these steps to publish to DISCOVER. 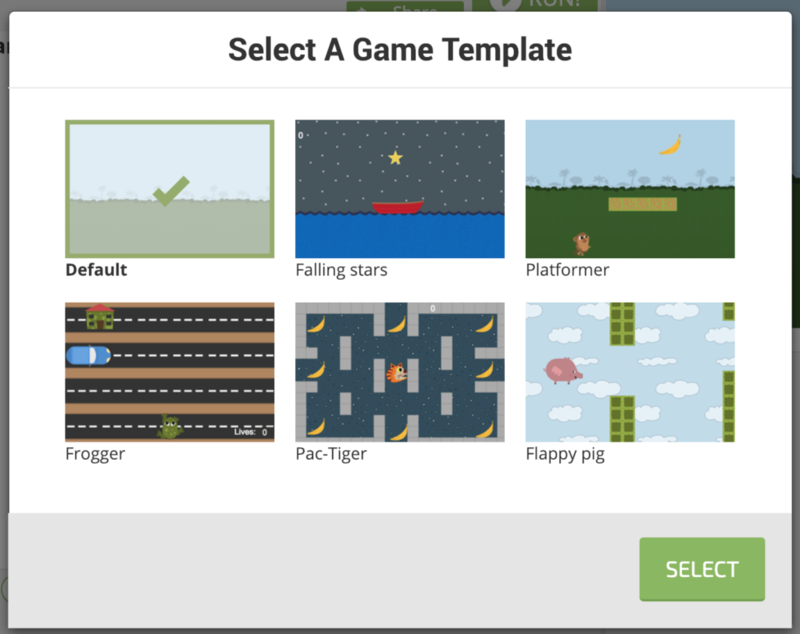 If you have not tried CodeMonkey’s Game Builder already, now is the perfect chance. With pre-built templates to choose from, creating games is fun and easy! When it comes to privacy, all content is COPPA compliant and goes through moderation so no personal information is shared. User content is moderated to make sure it is appropriate to children and U13, as well as educational communities. Parents and teachers can remove student-creations if they need to. Both Challenge and Game Builder help users go from writing code to creating with code. DISCOVER is a great way to motivate children to express themselves and use the coding skills they learned to create their own content. See what’s in store – access DISCOVER today. Previous PostPrevious Code Rush 2019 is Here!